What with a new brewery coming online in recent weeks, things have been more than busy down at Mornington Peninsula Brewery. Hence a relative lack of one-off releases from them, at least compared to their normal prolific output. However, it seems that is about to change as in sending through details on a beer that debuted at the recent Alehouse Project Hopfest, head brewer AG signed off with: “Back to the good ol' days!” In other words, following this there’s another one following hot on its heels and a third in tanks. 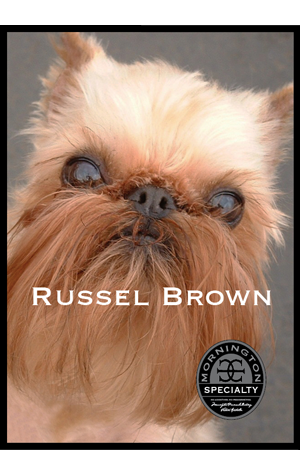 The one that debuted at the Hopfest and which is on wider release now is Russel Brown, a hoppy Belgian brown ale – (B)russels = Russel Brown you see that possesses the dried fruit and lightly spicy aromas one would expect from the yeast then layers much else on top. Namely a similar malt bill to their wonderful Brown Ale that give it “lovely cocoa and toffee notes” and then a whole heap of English and American hops added late in the boil and as a dry hop. AG says this gives it a “high hop profile and … a smooth and rich palate.” Yum.